Beverage catering and event production in San Francisco. Derby Cocktail Co. is a beverage catering, event production and design company. We deliver elevated beverage experiences through incredible service, industry knowledge and design for the most discerning clients worldwide. We tailor our services to any environment from brand activations to music and tech festivals to weddings to corporate team-building events. 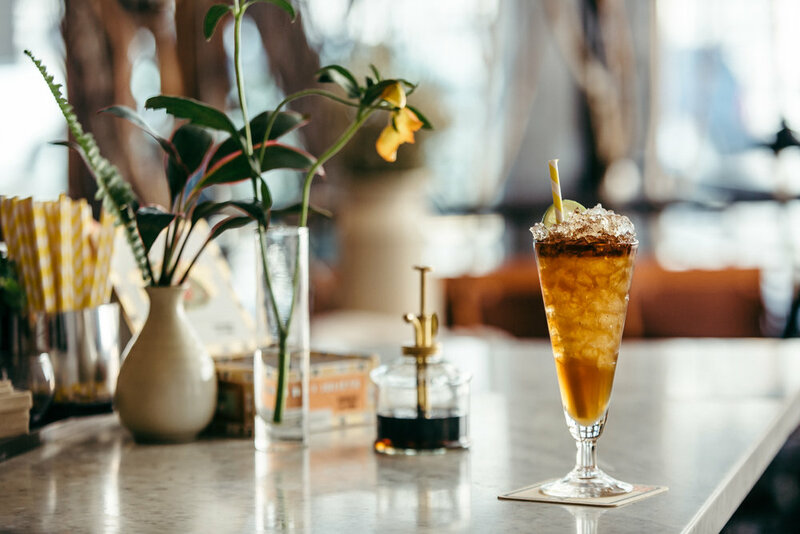 With experience producing events at SXSW, NYFW, Sundance and Basel World, Derby Cocktail Co. is renowned for their innovative cocktail solutions. Our global roster of clients includes Airbnb, Google, Levi’s, Pixar, Disney, Salesforce and more. Whether your event has 10 or 2000+ guests, our commitment to crafting the perfect drink doesn’t change. We elevate every occasion with remarkable design, customized menus, charming service, and above all, fantastic drinks. Top companies trust Derby Cocktail Co. to create custom experiences at the highest level for crowds both large and small. We deliver a well-polished experience through efficient and creative menu curation with the guest experience in mind. Derby Cocktail Co. takes a bespoke approach to each project we work on, with a compelling beverage program, charming service, curated design and detailed execution that is appropriate for the occasion. 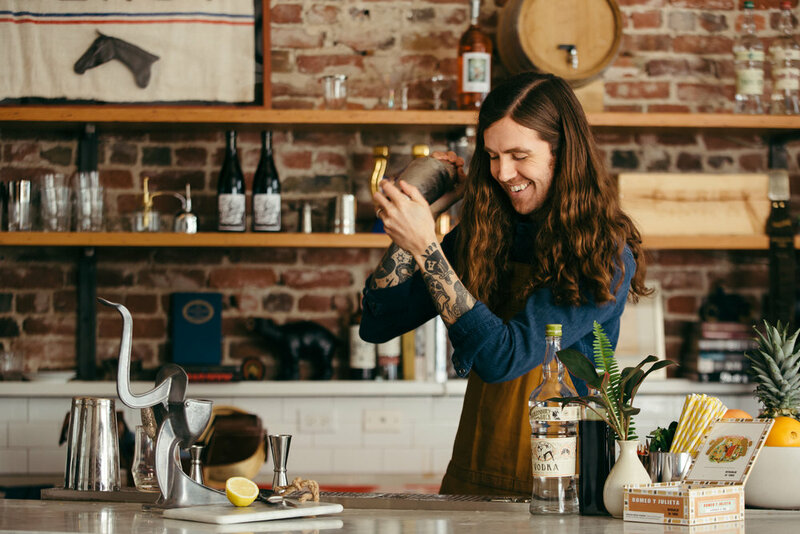 Derby has assembled a roster of bartenders of the highest pedigree. Our staff is handpicked from the most reputable brands and bars in the industry. Our engaging service style speaks to education, engagement and openness where guests feel welcome no matter their spirits knowledge level. Derby service staff are highly trained and talented individuals who’ve studied from Spain to Oaxaca with some of the top wine and spirits brands in the world. The result is a diverse and knowledgeable staff who are passionate about the history, tradition, technique, cultural origins, and individuals who make wine, beer and spirits. We pride ourselves on the principle of making guests exemplary drinks while making them feel at home. 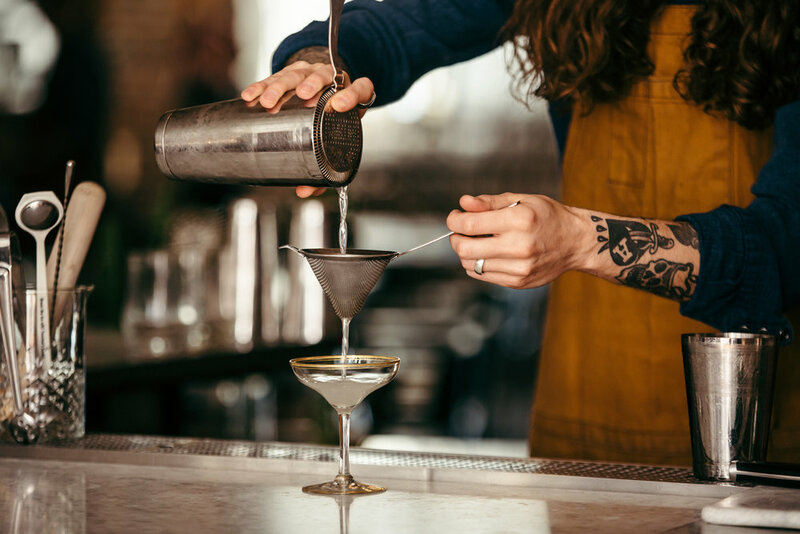 Derby works with clients in a consulting and caring manner to ensure guests that leave our events remember the the great drinks and friendly service they received. 3. Create environments with intention that allow for guests to connect authentically. Derby’s attention to detail extends into every element of your event. 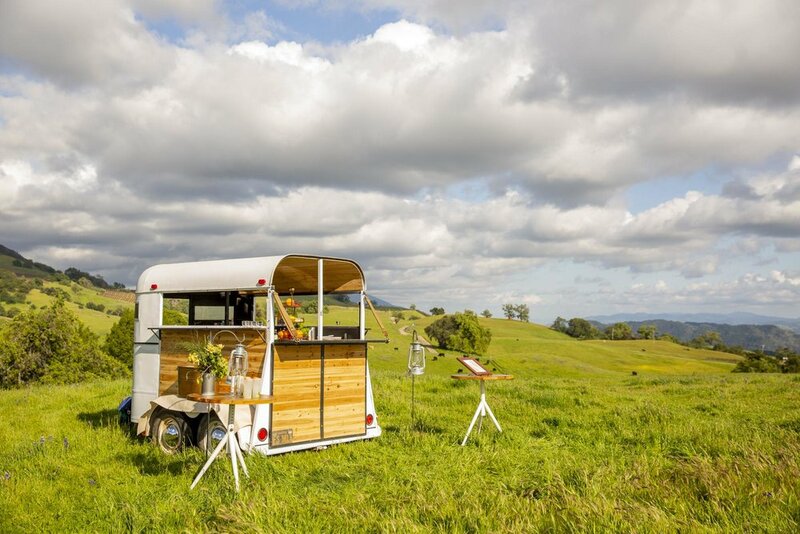 Our mobile experiences & custom cocktail stations have come to define great parties everywhere. Memorable drinks, with personality, and without the lines. Derby’s mobile cocktail carts are a stylish and effective delivery unit for cocktails, beer and wine. We love showcasing Manhattans to our guests and avoiding all lines in the process. Derby also has a fleet of Cocktail Trailers at our disposal that are designed for serving bespoke events large and small. We have devised cocktail programs that are efficient and delicious. Derby Cocktail Co. was founded in 2012 as an expansion of Stag Dining’s offering and passion for cocktails. We are fortunate to work with some of the best bartenders in the industry. That pride is reflected in our creative approach to beverage service and experience.